WGBH-TV Boston, the producers of the Peabody and Emmy Award-winning engineering and reality competition series "Design Squad," take their show on the road with a new spin-off series for tweens, teens and family-viewing--"Design Squad Nation." Over the course of 10 episodes, engineer co-hosts Judy Lee and Adam Vollmer travel across the country and around the world, working side by side with kids to turn their dreams into reality. Whether it's a red-carpet worthy gown for "Project Runway's" Christian Siriano or a playground for kids in a rural village high in Nicaragua's northern mountains "Design Squad Nation" shows that engineering isn't about hiding away in some lab; it's about being active in the world, taking risks, collaborating with interesting people and using science, math and technology to solve real problems. "Design Squad Nation" takes a kid's passion, combines it with engineering and shows how to create an array of engineering feats--a cake that is part delicious, part electronic and part mad scientist for the cast party of "Young Frankenstein: The Musical;" a pedal-powered bike organ; a human-powered flying machine and more. Wish you could help the world conserve water? Have a dream of an invention that can improve someone's life? 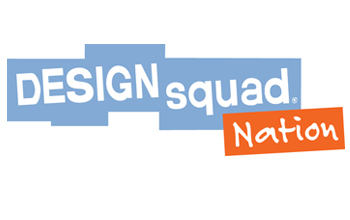 "Design Squad Nation" shows kids that if they can dream it, they can build it. For more information visit: http://pbskids.org/designsquad/.